Today is Friday and there is a Design Team Reveal up on the Just Imagine Crafts/Kreaxions Blog. The theme was “thankful”. A New Arrival - I created this page for our newest grandchild’s album. This will be number 7 for Jessica and Aaron. I used the Kreaxions Star Stencil and the Kreaxions 4 in 1 punch #918 with the “A” insert to make the doily. For the border edge I used the Kreaxions 4 in 1 punch #905 with no insert. Be sure to check out the blog for some inspiring work from the rest of the design team. Today I’m sharing a vintage Christmas tag that I made for a Design Team project for the Just Imagine Crafts/Kreaxions Blog. I created the doily using the Kreaxions Star Stencil and the Kreaxions 4 in 1 punch #920 with the A insert. I made the border strips using the punch with no insert. 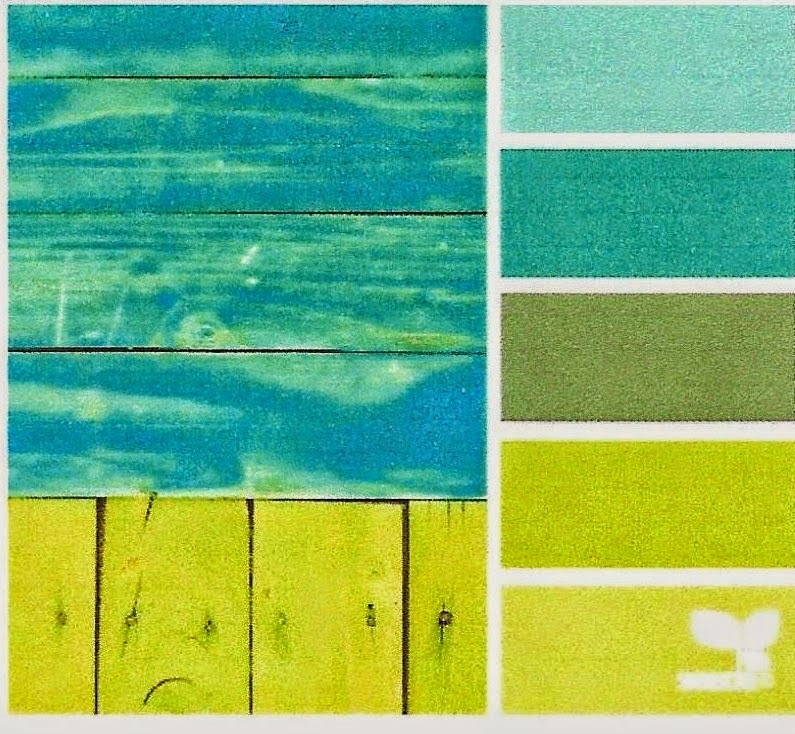 Be sure to check out the blog and see what the rest of the Design Team created this week. I’m sure there are lots of ways to make Crinkly Ribbon but this is how I do it. First you will need a work surface that won’t stain and cleans easily. I use my Non-Stick Craft Mat. I wear gloves because the mist/ink stains your fingers. I then scrunch the seam binding into a ball … this puts the “crinkle” in the Crinkle Ribbon. Continue to scrunch the seam binding and dry with a heat gun. You can let it dry on it’s own but that would not work for me, I’m to impatient! This Crinkle Ribbon is perfect for using on vintage projects. Woot Woot! I’m thrilled to announce that I’m doing another term on the Turtle Soup Design Team. Meet the rest of the Design Team. I’m looking forward to working with these fantastic creative ladies! There are daily challenges, monthly mini crops, an amazing gallery of creative projects to inspire you. There are sketches, layouts, cards, tags, altered items and lots of techniques shared … enough to keep everyone happy. The daily chatter in the forum will help you to get to know the design team better and for us to get to know you. We encourage the beginner through advanced scrapper to join us. I have day 12 of the 12 Days of Christmas Mini Crop at Turtle Soup. My challenge today is to create a gift box or bag with a bow on it. 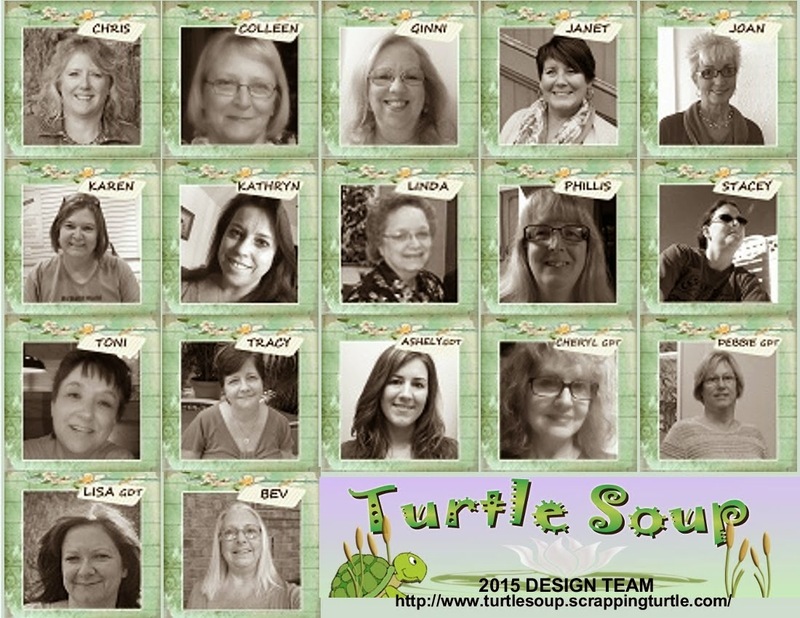 Be sure to check out the challenges for all 12 days in the Turtle Soup forum. The December teacher gifts are ready to be shipped to FL. I used the Kreaxions Circle Cutter to make the circles for the snowmen. I found the perfect box to make and used my Cricut and the Sweet Tooth Boxes Cartridge. A fun project to make and give. I created the banner using the Linnie Blooms Medium Canvas Pennants (5/pkg) as my base. I inked a vintage music sheet with Tim Holtz Distress Inks. Then I went through my stash and found the lace and embellishments to add the finishing touches. Today I have a Design Team Project up on the Just Imagine Crafts/Kreaxions Punches Blog. Sometimes buying a gift for the person who has everything is frustrating and next to impossible. That’s when a gift card comes into play. And in a cute little bag that gift card becomes the perfect gift. Welcome to the Just Imagine Crafts/Kreaxions Punches Blog Hop. 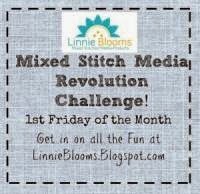 Join us for 5 days of fun, inspiration and prizes. Be sure to visit each Design Team Members Blog and leave a comment. the Circle Cutter and Stencil A.
I love the detail that the punch added to this project. A flower, a brad and some ribbon added the finishing touches.